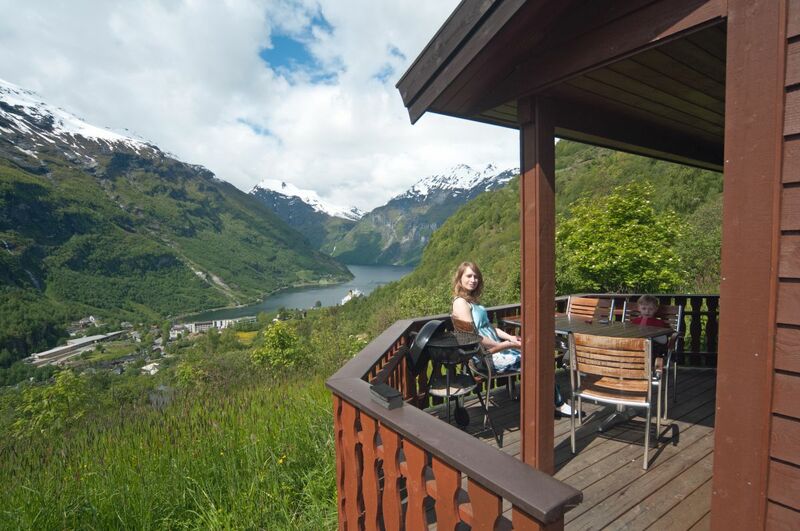 The two bedroom cabin are positioned overlooking the fjord, furnished balcony and parking near the cabin. The cabins has TV, and accsess wireless internet. One bedrrom with a double bed (2x75 cm), and the other with a bunk bed (75 +75). There is also a folding extra bed. All beds have duvet and pillow. In the living room there is a sofagroup, kitchen with stove, utensils, coffee maker, microwaave oven, and crockery for six people. The cabins has a private bathroom with toilet and shower. The cabins are adapted for year-round use.